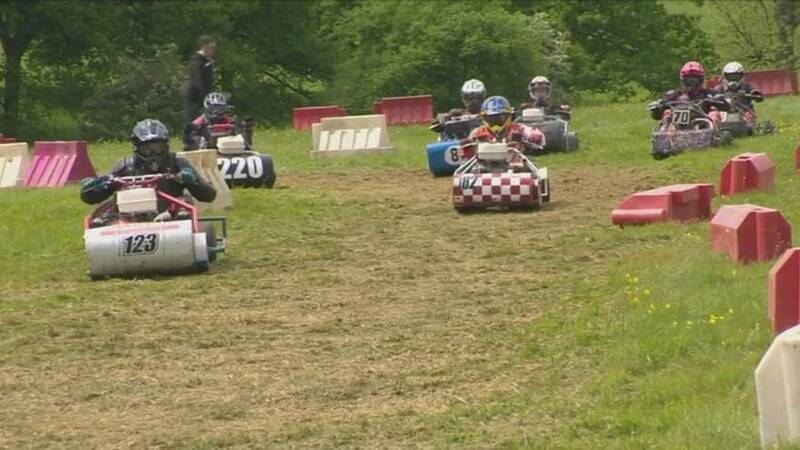 The Formula One Spanish Grand Prix was on most petrol-heads minds this weekend but for a dedicated few in Britain the new lawn mower race season was their adrenaline fix. For obvious safety reasons the cutting blades are removed for the racing mowers. In this sport there are no team orders and all mowers race on an even ‘grass playing field’ as only minor modifications can be made. It is a cheap fun sport for people who love to race on a budget. And yet the challenge for the British Championship is a hard fought battle which takes place from May to mid-October, where at each meeting drivers pit their nerve and skill to take top honours to earn valuable points within their racing category. There are three categories of racing. Group 2, where the lawn mowers are like a traditional lawn mower with a seat attached, was won by local rider Roger Knowlson. South African Stuart Johnson won the Group 3 buggy race while Daniel Godden outshone his rivals in the Group 4 tractor-style class.